HTC has something extra for those using the default QWERTY on the HTC U11 and other flagship models like the HTC 10. These are advertisements for third party businesses that appear to be pulled from Google's AdSense. Before you start getting mad at HTC, it might not even be the company's fault. Heck, it is even possible that HTC didn't know that the ads would appear. After all, HTC's default keyboard is built by a company called TouchPal. Now that HTC has been made aware about the ads, it might try to do something about them. The manufacturer recently told HTC U11 owners to uninstall recent updates to the TouchPal keyboard. To do that, go to Settings> Apps> All apps> Look for the app (TouchPal)> Uninstall updates. This would suggest that previous updates to the keyboard added the necessary code to make the ads possible. 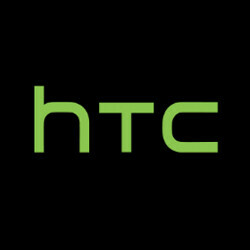 It also means that HTC could be in the process of removing the ads for good. UPDATE: HTC this evening gave us the following statement. "Due to an error, some HTC customers have reported seeing ads on their phone's keyboard. This is absolutely not the experience we intended, and we're working to immediately fix the error and remove the ads as quickly as possible. "-Jeff Gordon, HTC Global PR. Most of the feedback that was tweeted to HTC relayed negative feelings about seeing ads on the QWERTY keyboard. These were expressed with words that you wouldn't want your kids to see. Hopefully, HTC makes it impossible for ads to show up on its QWERTY keyboards again. 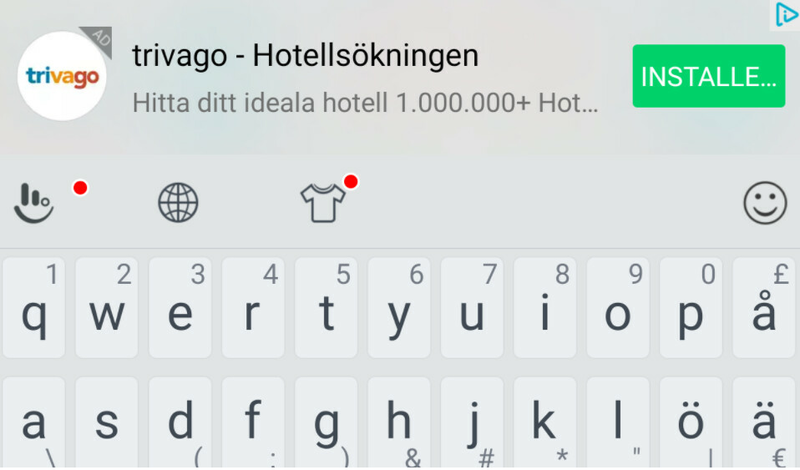 Not only is it annoying, the ads use space that could be employed in a way to make the keyboard better. Isn't that briliant idea to annoy a phone owner! good thing am more than happy with Gboard, TouchPal is overloaded with unecessary and useless bloat besides just doing it's job as a keyboard. Ever seen a keyboard that has a 'Lock Sccreen' feature, a raffle draw shtick, random ads popping into your screen outta nowhere? TouchPal it is! If we are to ignore the spelling, Gboard should make everybody happy; unfortunately, a keyboard should spell words, therefore Gboard is making us... well, not so happy. That's why HTC is about to go bankrupt. Best place for ads. So your whole screen is covered with ads and some keyboard. What the heck is wrong with their own UI fundamental? It only annoys users! Does it even matter...? The first thing I change in an Android is the keyboard. And I change it with... Blackberry Keyboard...!!! (You can side-load it on any Smartphone via APK) Very VERY productive, like vintage Blackberries with impressive text prediction, almost on par with the class leading Microsoft Keyboard on... Wait for it... Windows Phone 8.1 which is by far the BEST predictive keyboard on the planet...! Oh well... G'Day! Why even use a Chinese keyboard and not ship with Gboard? Is that anything wrong with "Chinese"?